As we step into the Spring market, let’s review the available stats from the Q1 – 2019 for Marin County. 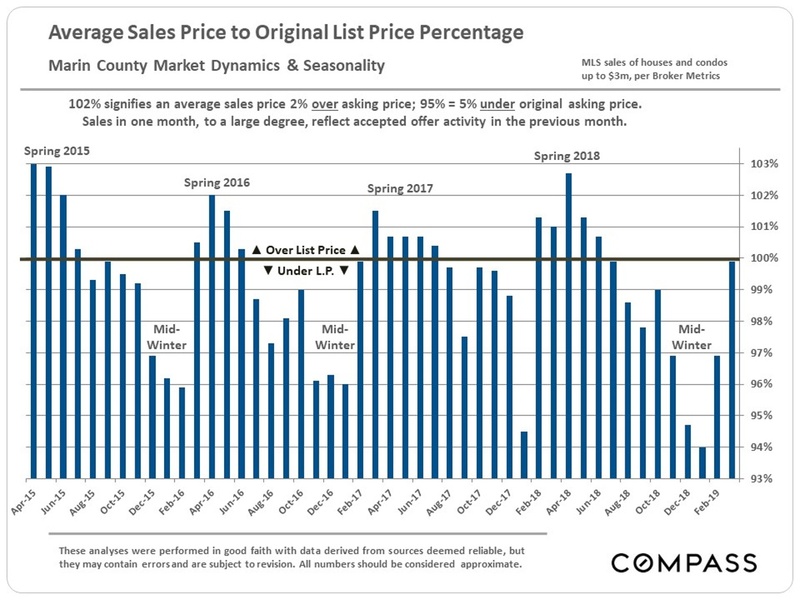 A substantial portion of Q1 statistics reflect new listings and accepted offers occurring during the mid-winter market doldrums (Thanksgiving to mid-January). 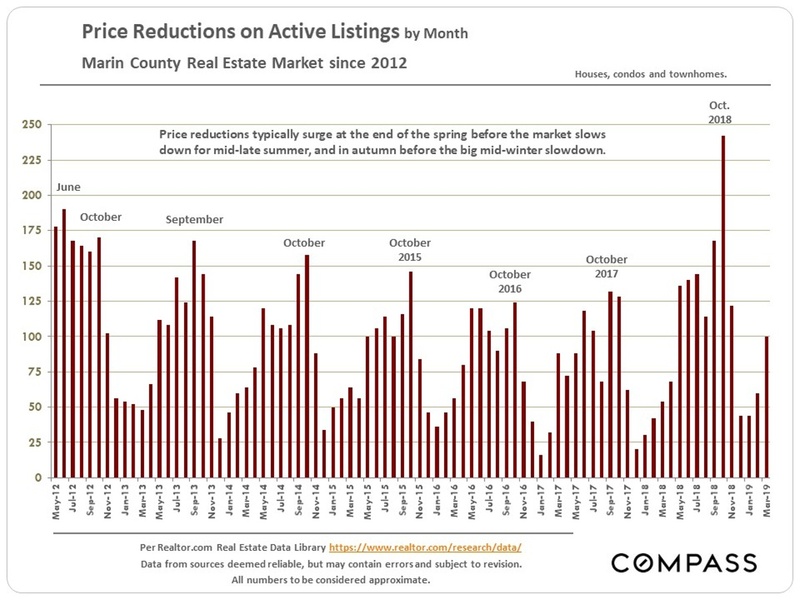 In November and December 2018, the stock market plunged drastically from its all-time high in September, and interest rates hit their highest point in years: these factors negatively affected buyer demand. Then both turned in dramatically positive directions in early 2019. So, Q1 statistics reflect economic conditions in both Q4 2018 (very negative) and Q1 2019 (very positive). 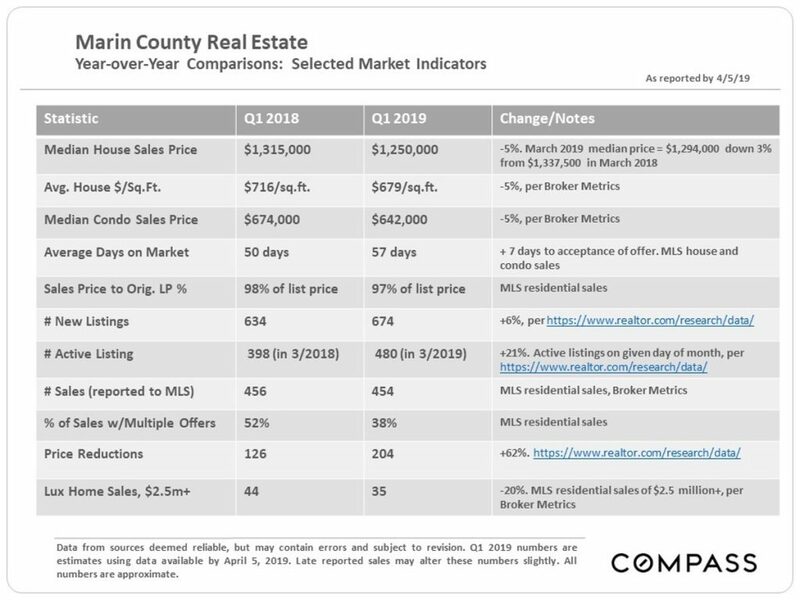 It is also the quarter with the lowest sales volume. 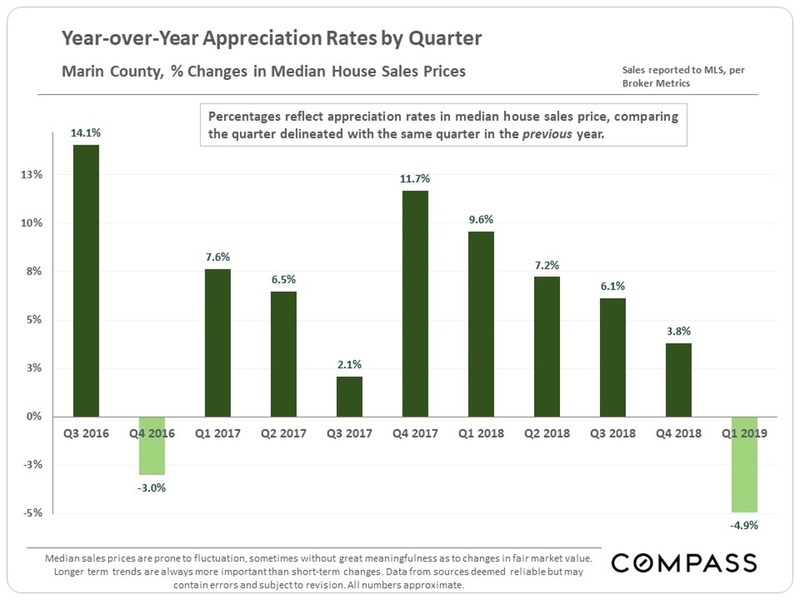 The spring selling season – whose data starts to show up in March, but is mostly reflected in Q2 – is the most active of the year, and often sees the highest rates of appreciation. 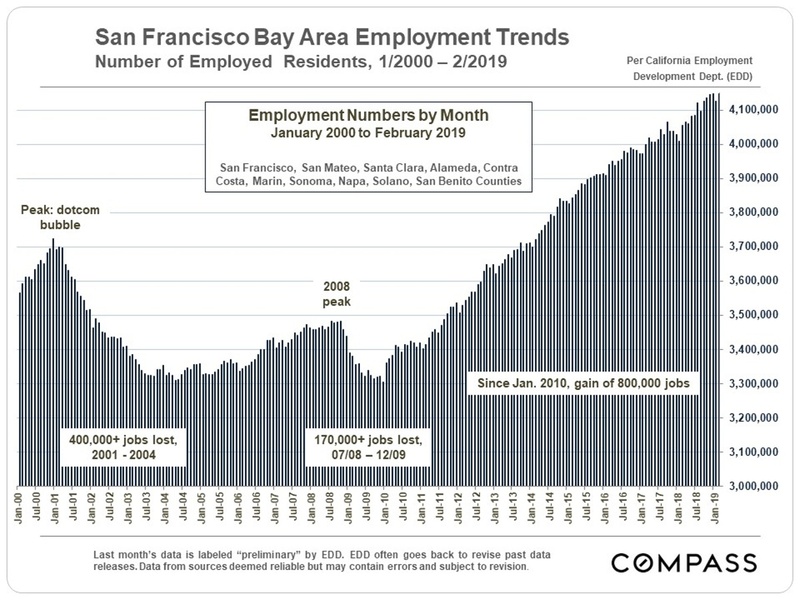 As always, there are many economic factors at play impacting Bay Area markets, some of which are discussed below. 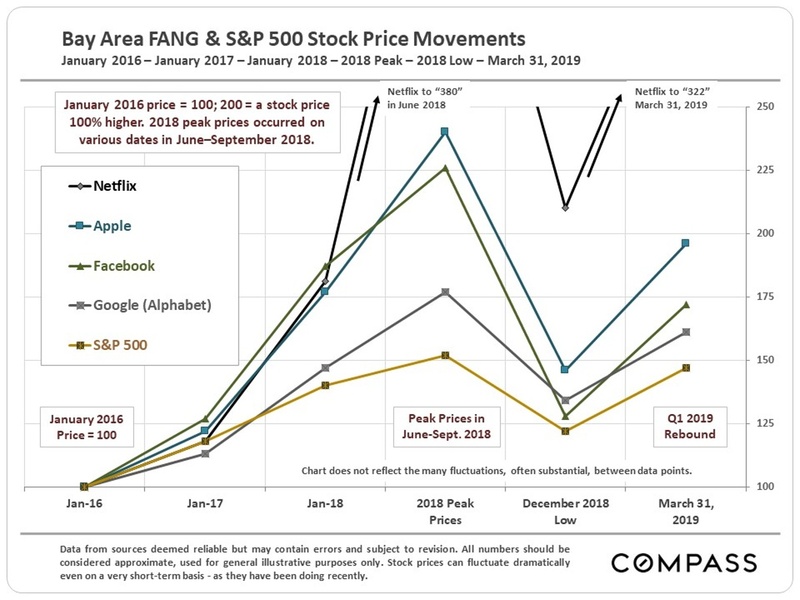 A wild ride in stock prices, particularly in high-tech: Prices soared to new peaks in summer-early autumn 2018, plunged drastically in Q4 2018, and then saw the biggest Q1 jump in 20 years. 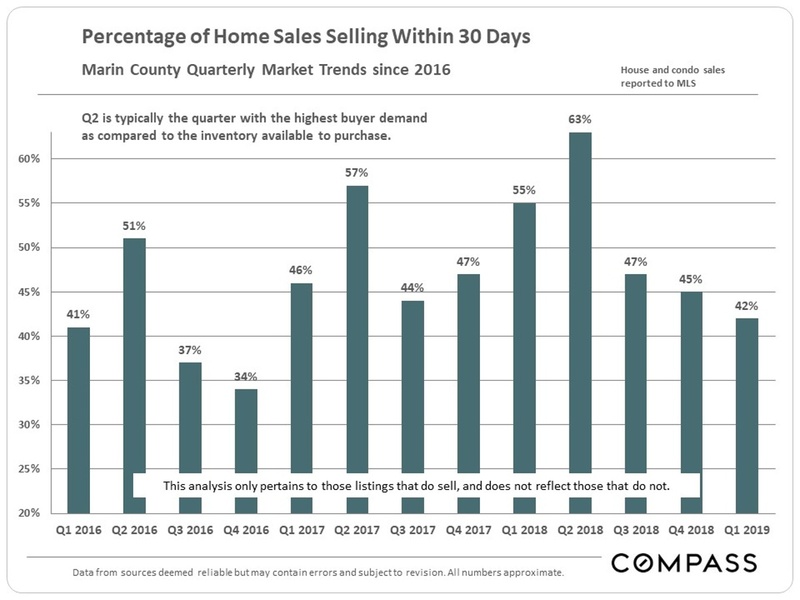 Huge amounts of wealth appearing, disappearing and reappearing – another major influence on consumer confidence and home-buyer demand. A new surge of large, high-tech unicorn IPOs – mostly of firms headquartered in SF – has just started to roll out. 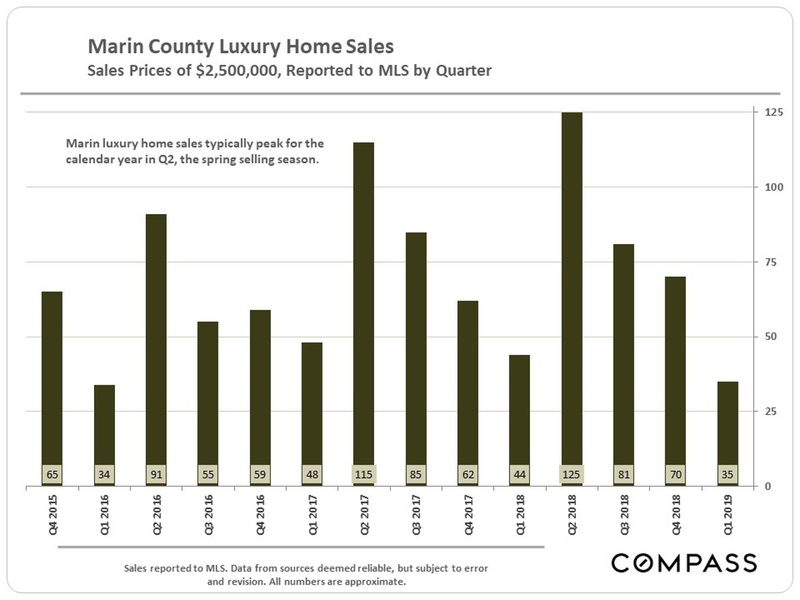 IPOs have historically created vast quantities of new wealth in the Bay Area, though the magnitude of effect of this new wave on Marin County housing markets is yet unknown. 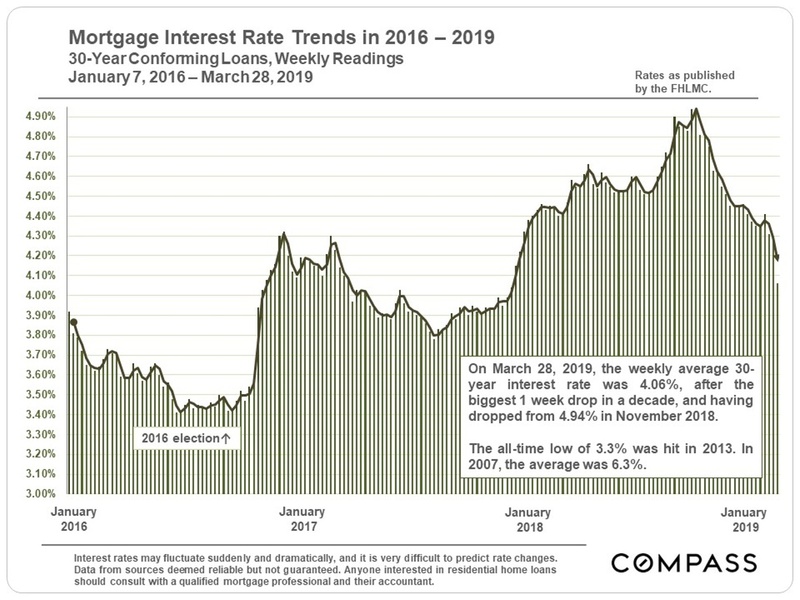 There has been a stunning decline in mortgage interest rates from mid-November 2018 through the end of March, from 4.94% to 4.06% – to the enormous advantage to buyers. 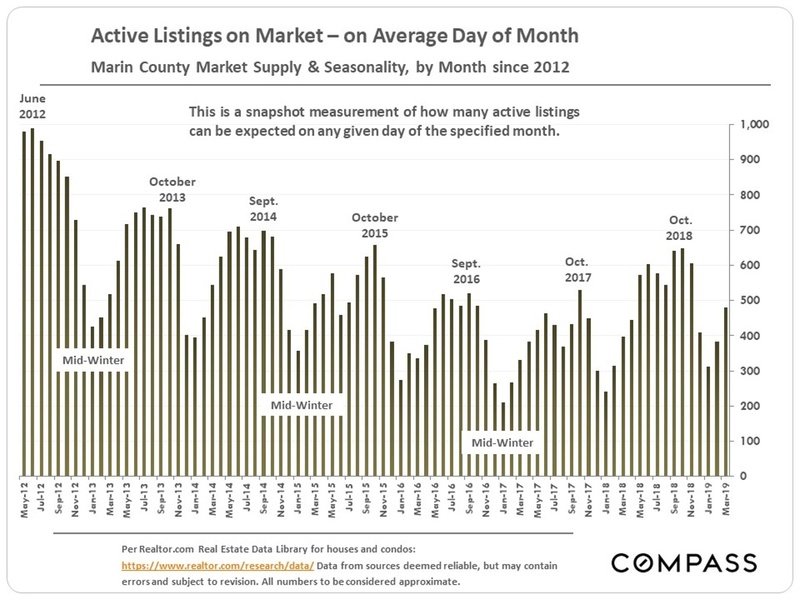 Big drops such as this have helped to recharge buyer demand in the past. 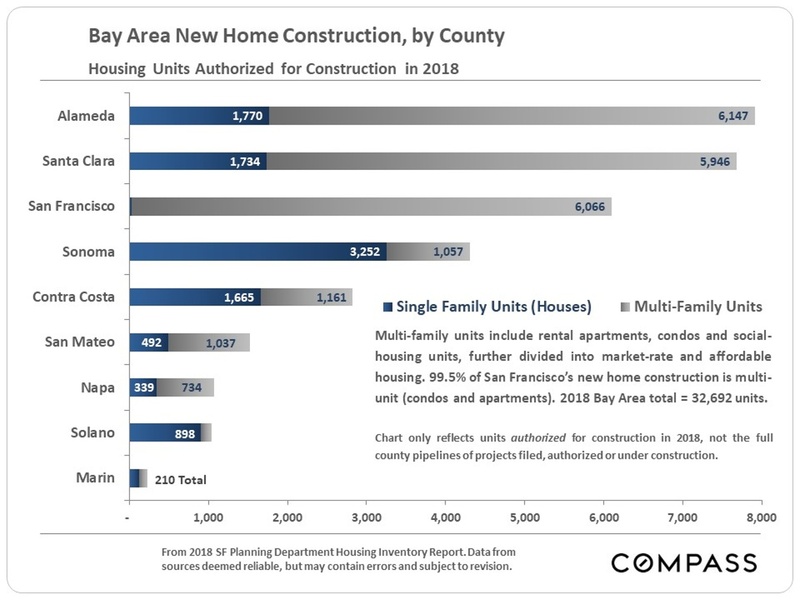 As is not unusual, Marin ranks last in new home construction in the Bay Area. 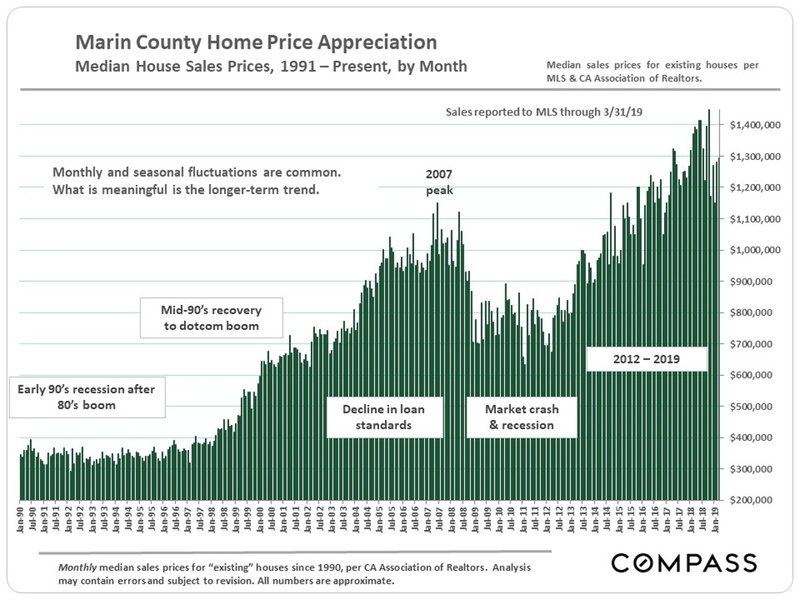 The scarcity of new construction plays a significant role in supply and demand dynamics, and thus home prices. 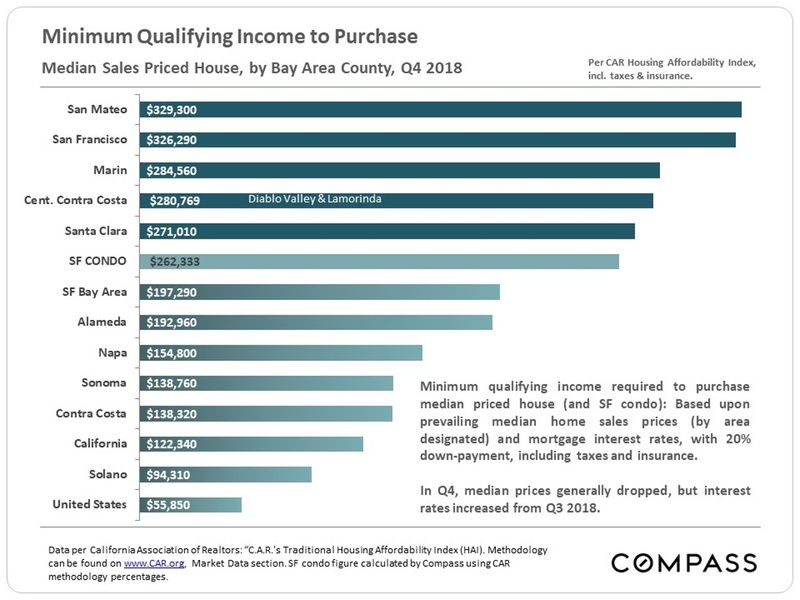 This chart calculates the income required to buy a median-price house in Q4 2018. 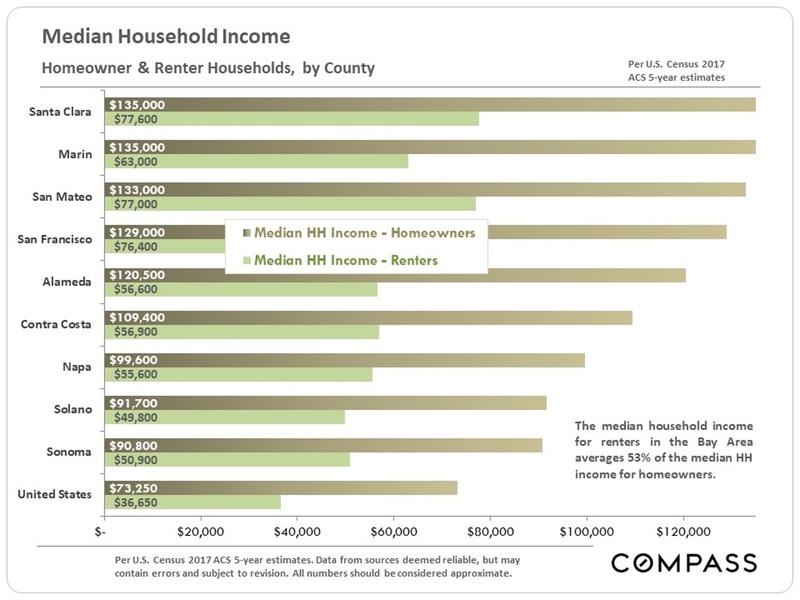 Median condo prices are substantially less in every county and would require lower incomes. 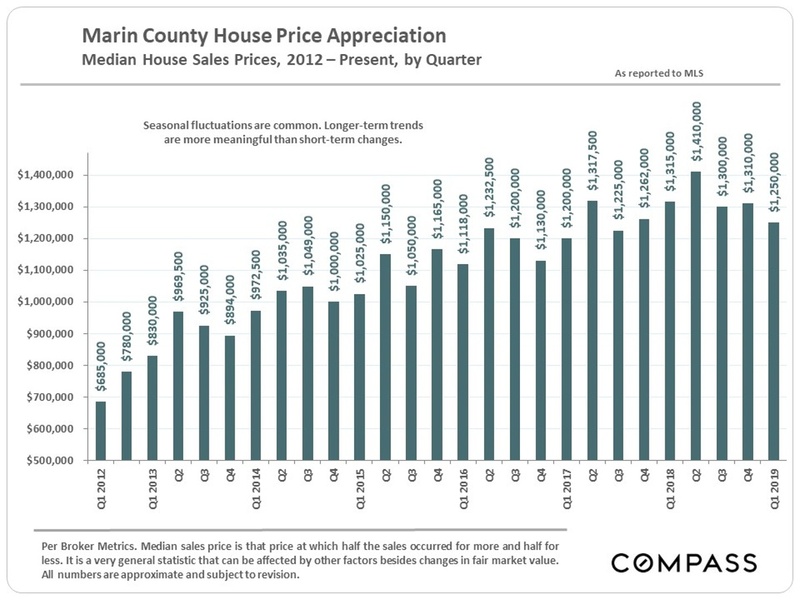 County median household incomes are broken out below for homeowners and tenants – Marin is tied with Santa Clara for the highest median homeowner income in the Bay Area, and ranks 4th for renter income. 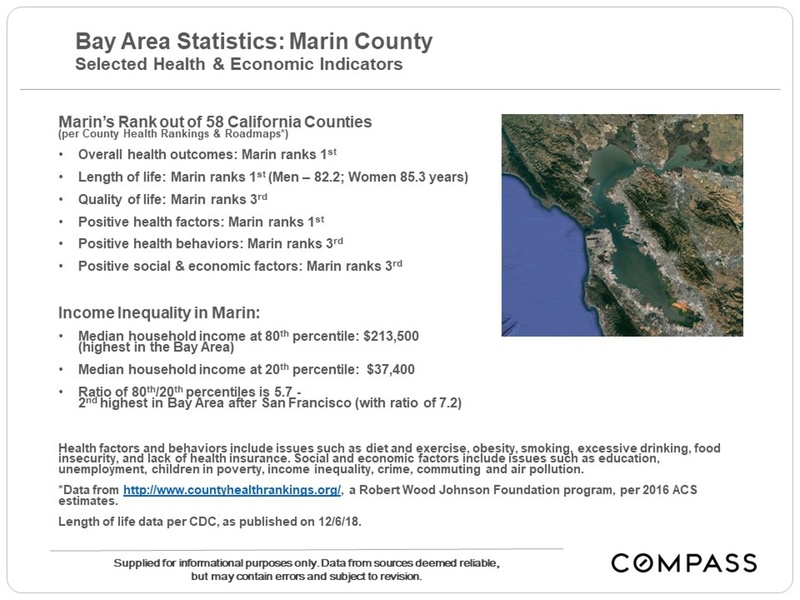 However, comparing the chart below to the one above illustrates the disparity between prevailing incomes and the incomes required to purchase in the Bay Area.